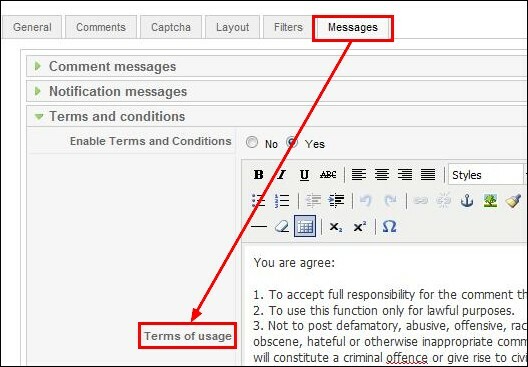 terms and conditions, file uploading and 2 new comment filters. A new RSComments! feature allows administrators to enable a "Terms and conditions" checkbox. In order for a new comment to be added, the submitter would have to agree with the specified terms. The new option can be enabled from the RSComments! "Configuration" tab. Posted by Mihaela	in RSComments! We’ve released RSMembership! revision 16 with some major new features and several usability improvements: a new payment gateway, integration with an important affiliate program, an improved shared content platform, fixed date membership expiration and many more. A new payment solution is available starting with revision 16, besides PayPal and 2Checkout: Authorize.NET plugin. Apart from the general plugin parameters (the API Login ID and the transaction key generated by Authorize.NET), in the “Plugin Manager” you can add as well the tax applied to the transaction total, the tax type and the tax value. Posted by Mihaela	in RSMembership!